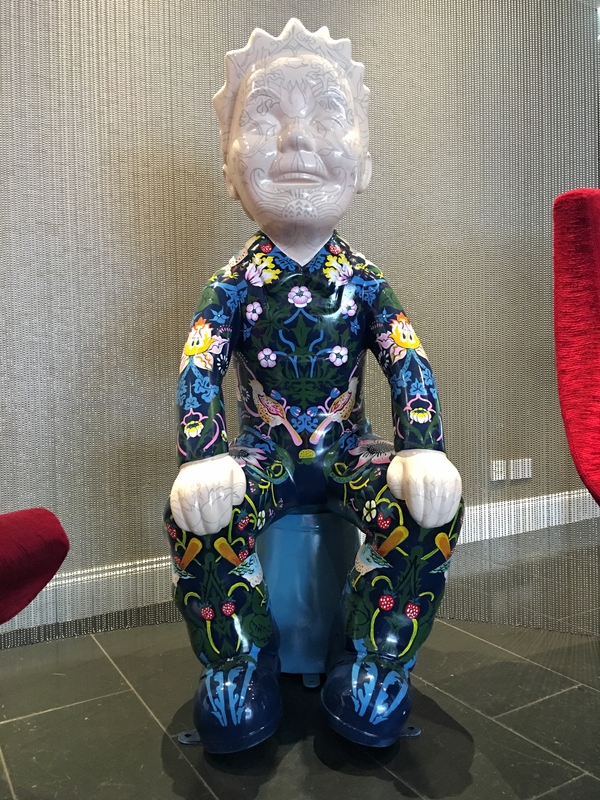 So who else is excited about the Oor Wullie Bucket Trail which officially launched in Dundee earlier this week? 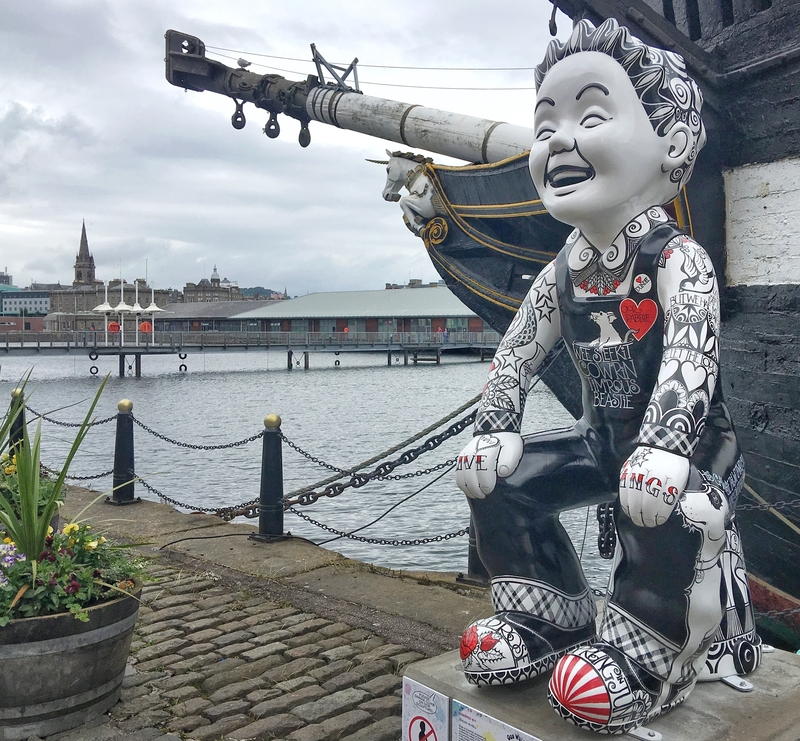 Oor Wullie is a childhood favourite of mine and I'm long overdue a visit to Dundee so I'm going to head there next weekend, trail map in hand to see how many I can spot. I'll also be taking the Wee White Dug as we may spot Wullie's wee dug Harry on our travels. If anyone's been or plans to visit please share your photos here and let's see how many we can find. Oh and if anyone has any good tips for somewhere dog friendly to eat lunch in Dundee then please let me know. @Samantha_Grant so excited such a brilliant idea and lots of fun for all the family. 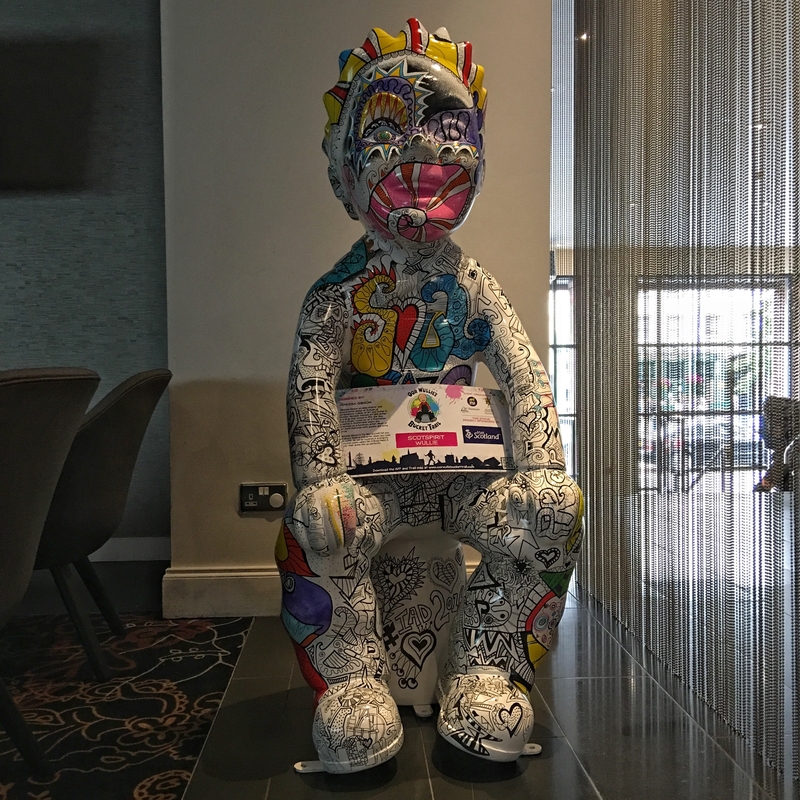 VisitScotland has ScotSpirit Wullie designed by Scottish artist Vanessa Gibson. Look out for him on the trail and once you find him be sure to take a selfie and share using #Scotspirit. @VisitScotlandElaine great photo and a brilliant idea. I'll look out for him. Now all I need next Sunday is good weather so we don't have to do the Bucket Trail in bucketing rain. I'm hoping to do the trail sometime soon. Can I pick up a paper copy of the trail route anywhere? 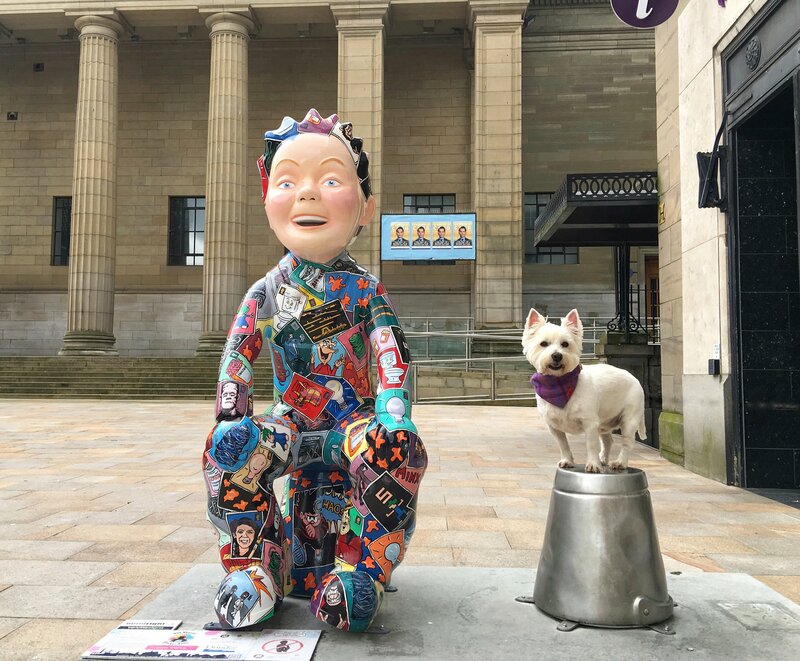 @Samantha_Grant the VisitScotland Oor Wullie is on tour and you'll find him in Aberdeen this week (week commencing 4th July). 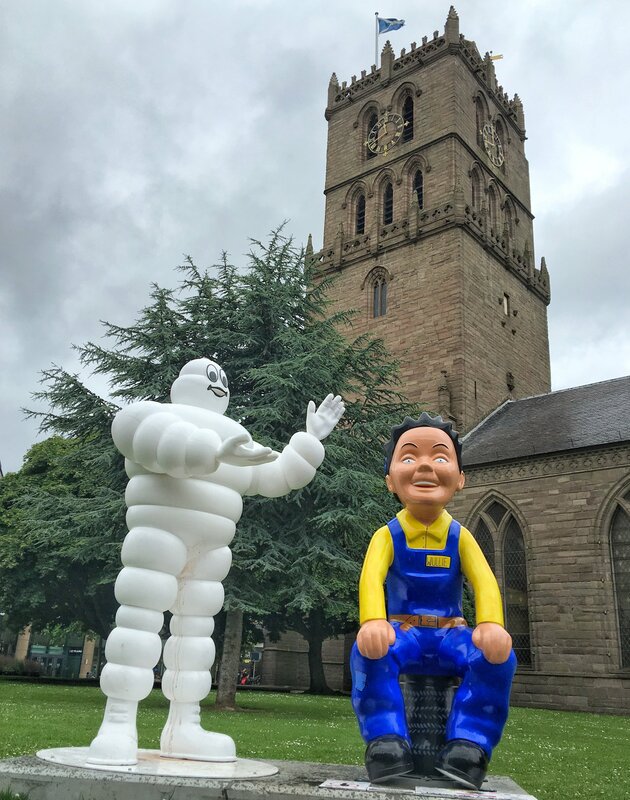 Spent a fun couple of hours this morning on The Oor Wullie Bucket trail. It's really popular. Lots of people rushing around Dundee playing where's Wullie. Here are some of my finds. Couldn't resist the bronze, poised with a peashooter to hit Rabbie Burns outside the McManus Gallery, even though he's not part of the official trail. A fun way to explore the city on foot and get some exercise. The Wee White Dug enjoyed standing in for Wullie's Westie Harry and meeting Wee Jeemy the moose. @Samantha_Grant looks like you had a great day out, such a great concept and for charity which makes it even more special. 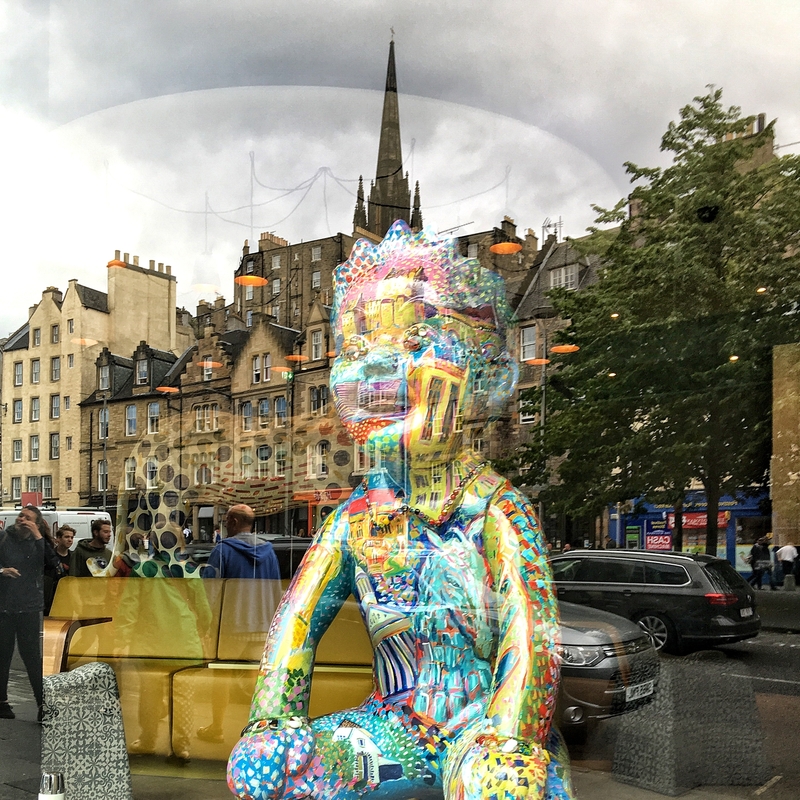 VisitScotland Oor Wullie will be in Edinburgh this week (week commencing 11th July) in the Apex hotel on the Grassmarket. Pop along and check him out, remember to #scotspirit when you share the pictures. 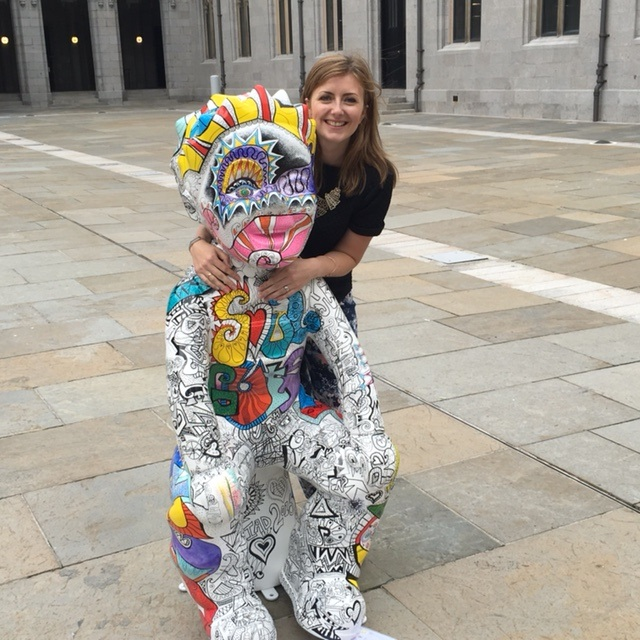 I enjoyed my day on The Bucket Trail so much I ended up blogging about it. If anyone's interested the link is below. As well as downloading the map online and via the App Store (search 'Bucket Trail') you can go into the VisitScotland Information Centre in Dundee to pick up your free copy of the trail map. Located on City Square next to Caird Hall! 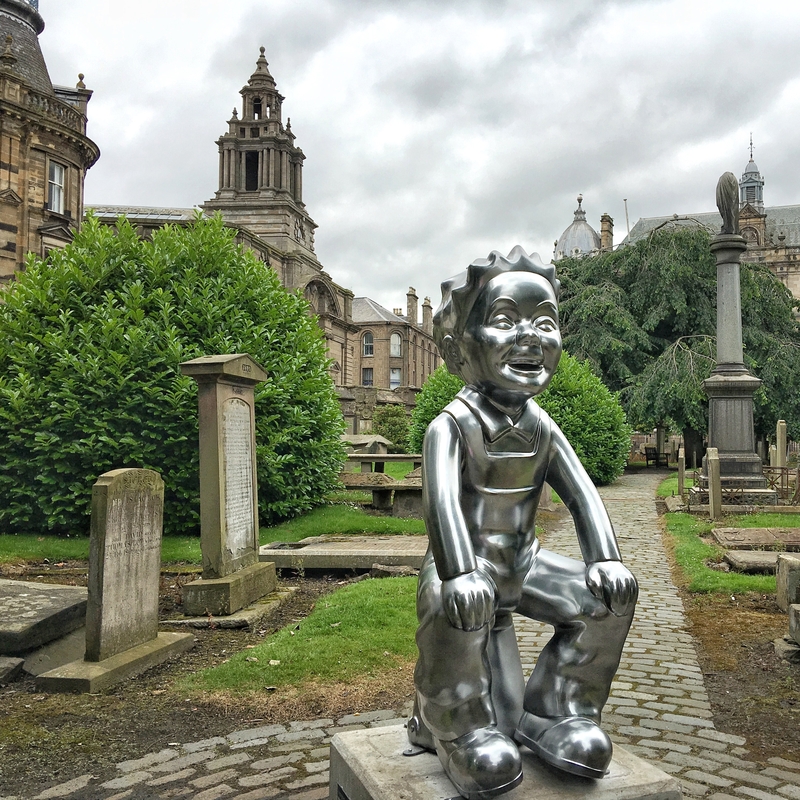 Oor Wullie is off to Glasgow this week (week commencing 18th July) you can find him at Glasgow Botanic Gardens (Kibble Palace). Pop along and check him out, remember to #scotspirit when you share the pictures. 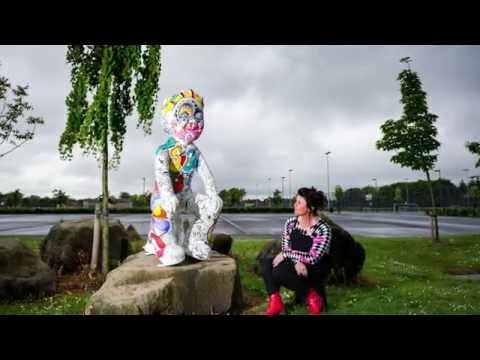 Nice little time-lapse video of the artist Vanessa getting Oor Wullie ready to go on tour! 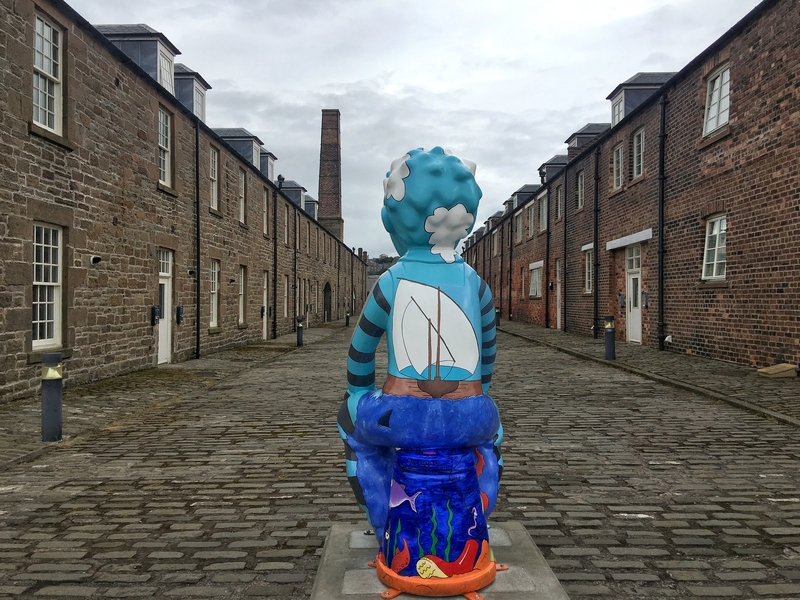 Where can you see VisitScotland #ScotSpirit Oor Wullie over the next three weeks? 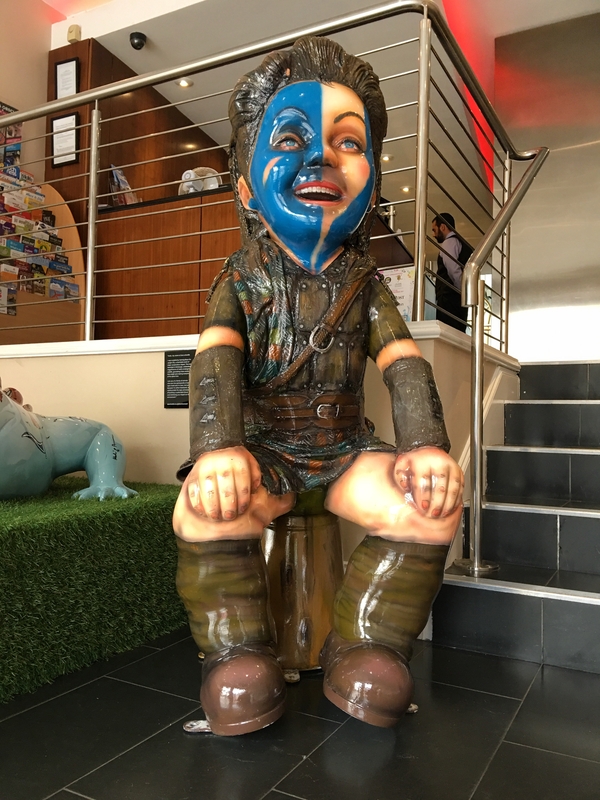 he'll be in Stirling from the 25th - 31st July, then off to Perth to enjoy the St John's shopping centre 1st - 7th August before heading north to Inverness to Eastgate shopping centre 8th - 14th August. 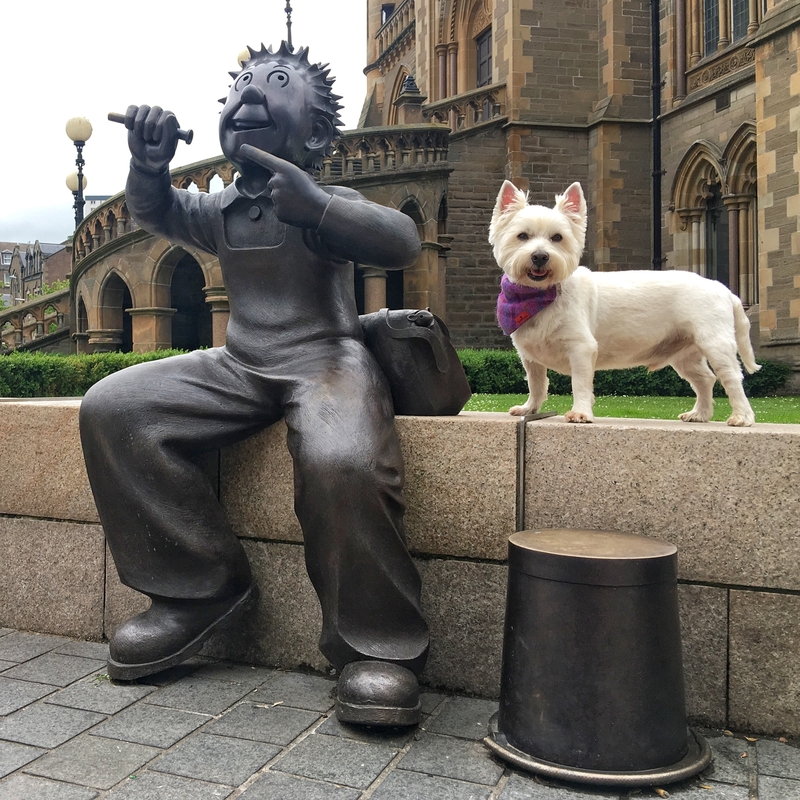 Remember to share your Oor Wullie pictures at #scotspirit. 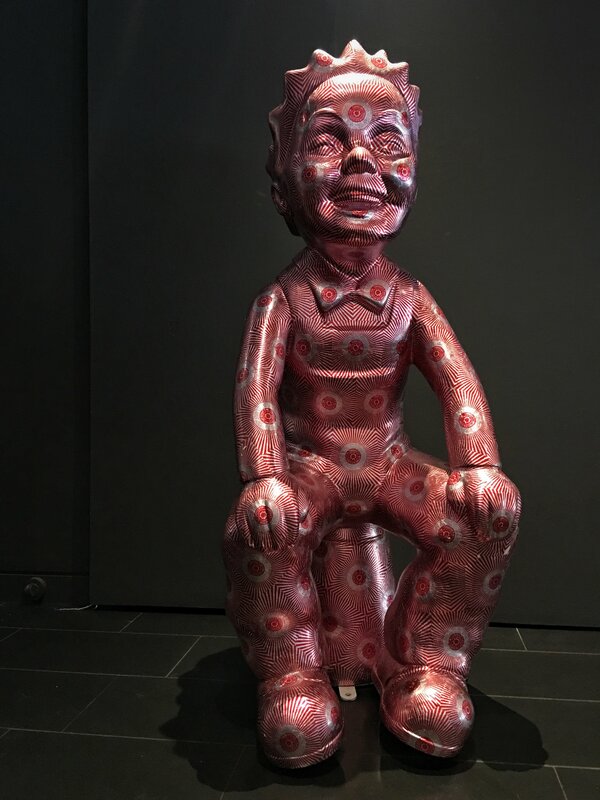 Today (Sunday 11th September 2016) the Oor Wullie's will go on auction to raise money for the Archie Foundation. 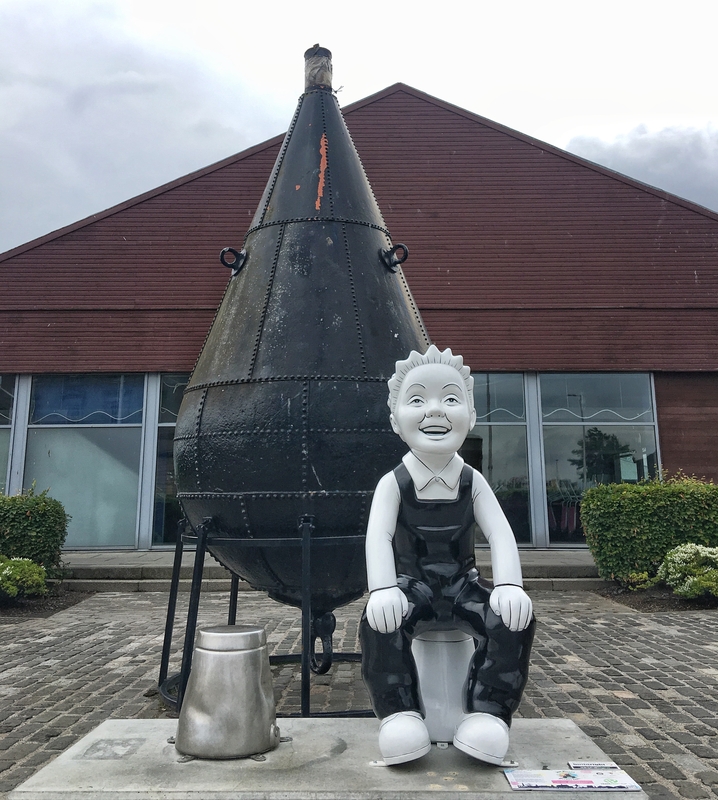 Oor Scot's Spirit Oor Wullie has been travelling all over Scotland over the last few months, hopefully you had the opportunity to see it or experience the official bucket trail. 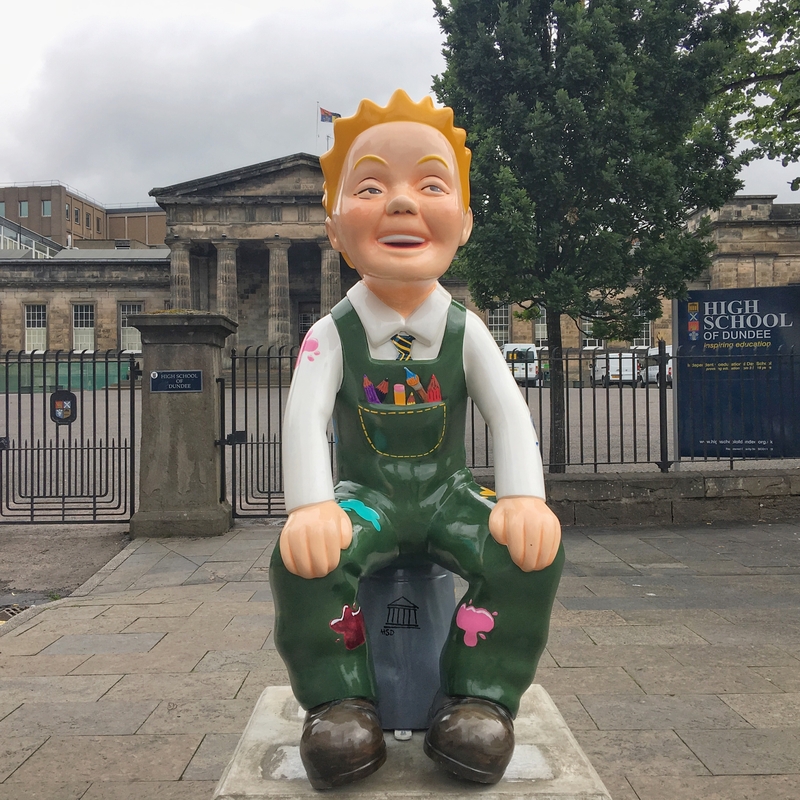 If you have any pictures from the Oor Wullie trail please share them here. Wow what an achievement! 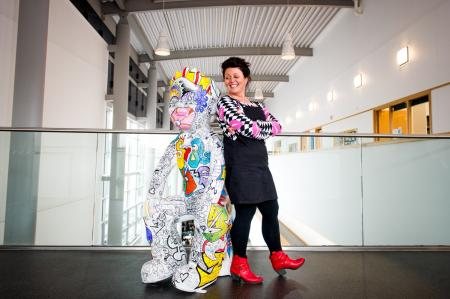 Oor Wullie bucket trail auction raises £883,000 for the Archie Foundation.